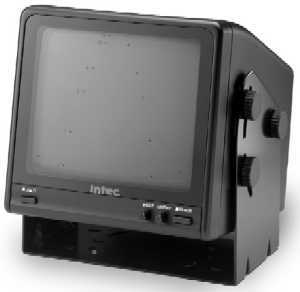 Intec Video Systems, Inc.monitor offers the largest screen area within a seven-in. cabinet. This black and white monitor is designed to provide a big, clear picture. The system comes with an on-screen distance grid, a day/night control, adjustable brightness, and contrast. It is built to withstand strong shocks and vibrations. This monitor may be mounted in or on the dash or overhead. Options include swivel base mount and multi-camera capability. A one-year parts and labor warranty is included.